RedStreet (the company, founded as RedStreet Consulting, later incorporated as RedStreet Inc.) was founded in 1997 by Erik J. Heels and Richard P. Klau. From 1997-2000, RedStreet provided consulting services to the largest law firms in the USA. Also from 1997-2000, RedStreet published five rounds of reviews of law firm websites. 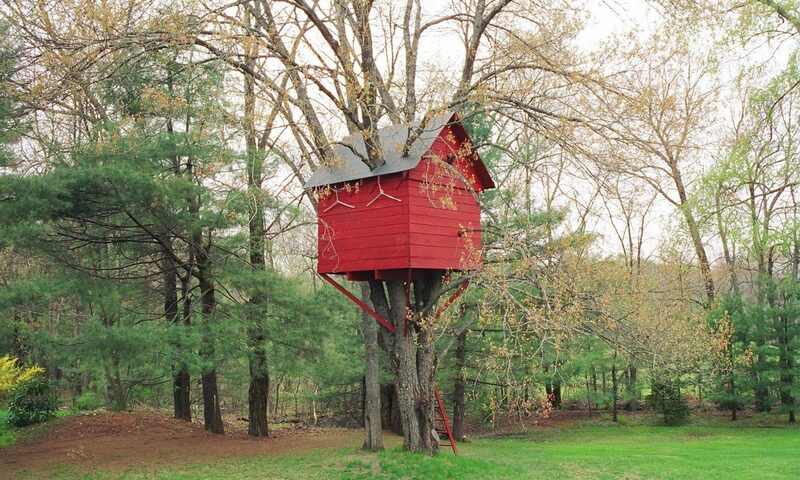 In 2001, RedStreet Inc. ceased operations . 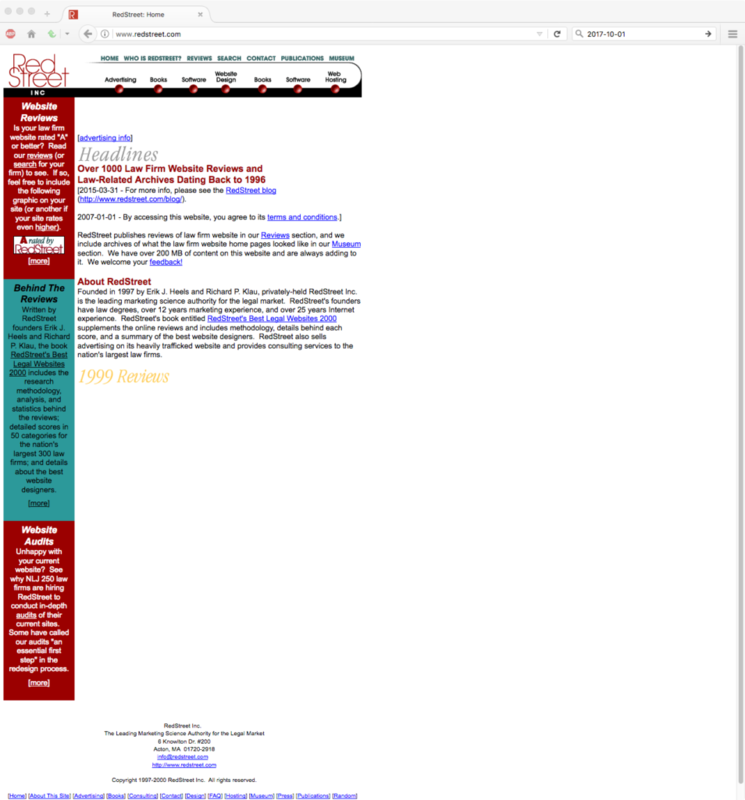 In 2007, ten years after the founding of RedStreet (the company), the RedStreet.com website was relaunched by its new/current owner (GiantPeople LLC) to preserve RedStreet’s historic law firm website reviews. 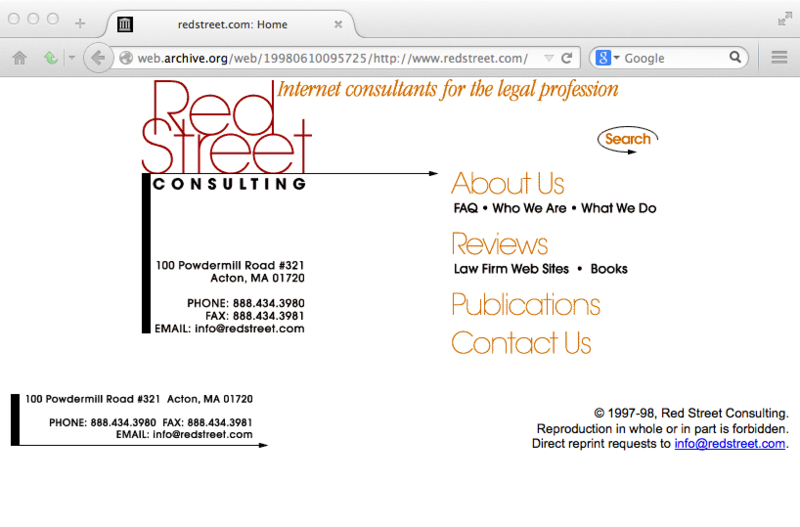 RedStreet’s early website reviews document what the early web was like for lawyers. On 2015-05-31, a blog was added with additional historic content. 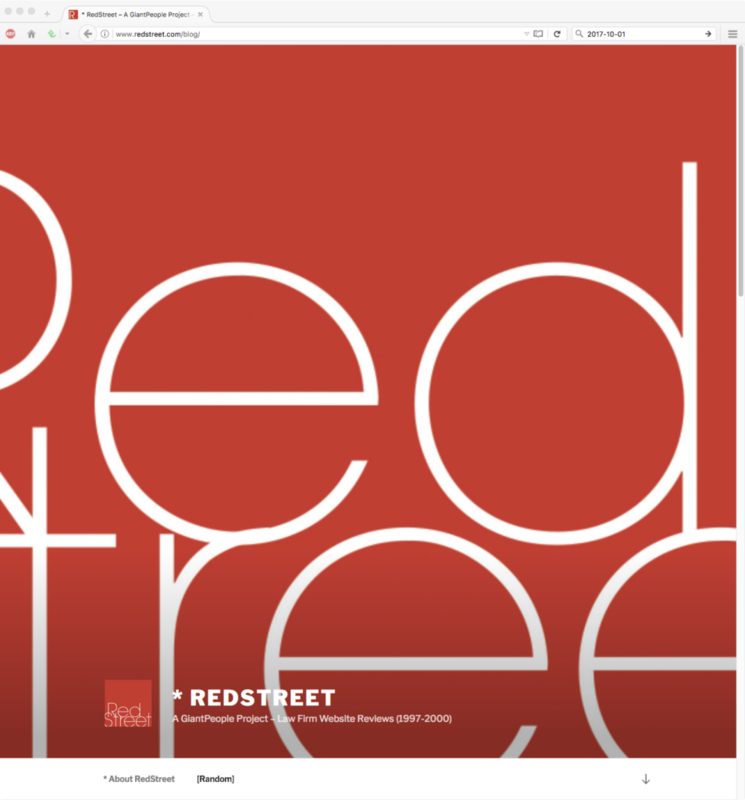 On 2017-11-19, RedStreet.com retired, after a 20-year run. Some content lives on in the RedStreet.com category on this blog, a few screenshots are included below, and many more RedStreet.com pages are archived in the Internet Archive’s Wayback Machine. Thanks for the memories!